A haven in the middle of this busy city! You can wander quiet paths among mature trees watching the birds and insects busy about their lives. 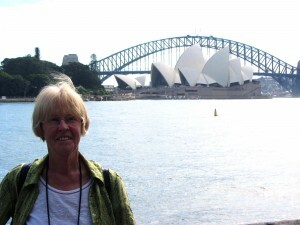 Or go down to the water’s edge and look across to the opera house and Sydney Harbour Bridge. For people-and-plant enthusiasts there’s plenty to see. Once the Cadigal aborigines lived here and took care of plants and animals for thousands of years. This picture is of a dead Forest Red Gum. 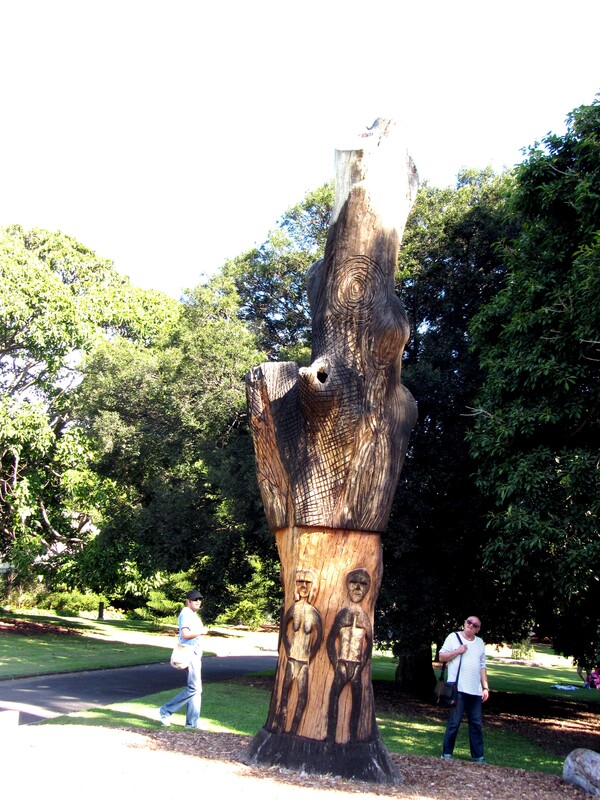 It’s over 200 years old and knew the Cadigal people. 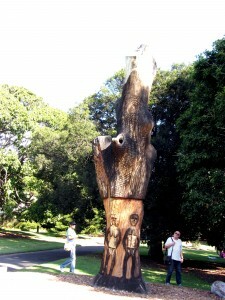 The carvings are made by an aborigine from another tribe as a memorial to the lost Cadigal people. There were about 80 of them – an extended family group. Some were murdered by the first Europeans and others died from small pox brought by the settlers. 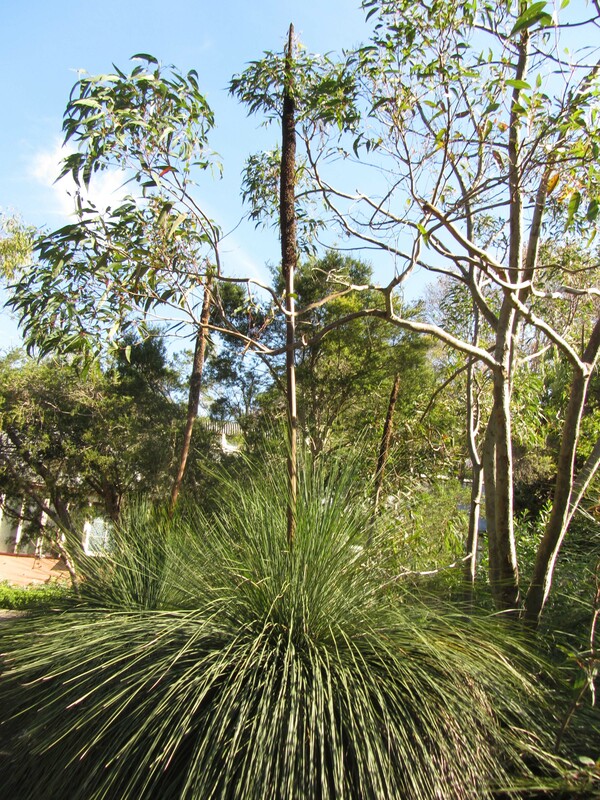 This Grass Tree has a tall upright flower spike. 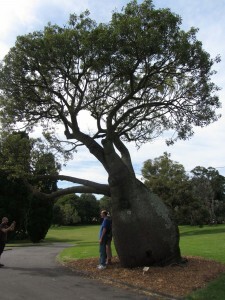 It was called gul-gad-yo by the Cadigal and was used to make a very strong glue. After a bush fire resin leaks from the trunks and forms lumps. The native Australians mixed these with warm water and hot ash from crushed and burnt mussel shells. 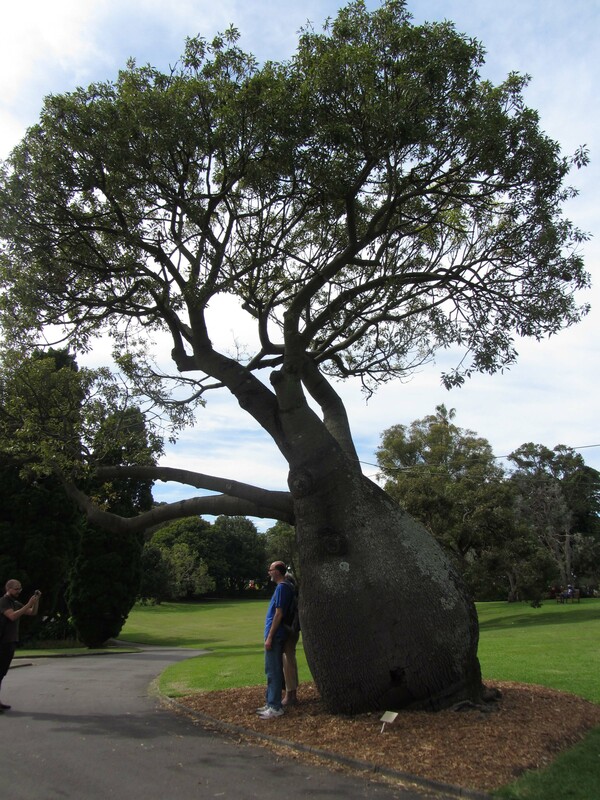 This is the Queensland Bottle Tree (Brachychiton rupestris), one species in a genus containing 31 species – 30 in Australia, 1 in New Guinea and fossils in New Zealand. It has inconspicuous yellow flowers and grows in desert areas. It stores water in the massive trunk. 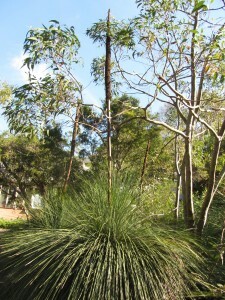 Native Australians use it as a water source and eat the starchy roots and seeds. Many other plants were carefully tended over centuries by the original inhabitants. 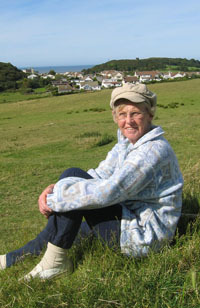 Each family group covered a particular area and practised a moving agriculture in which they moved to a fresh site once they had used up the resources of the old one. They were careful to leave enough seeds and young animals so the area was never exploited to destruction. By carefully tending their resources they were able to live in harmony with their surroundings for thousands of years.